Dermal fillers are excellent tools used by the professionals at Skin Ink & Laser to enhance facial contours and create a more youthful, healthy appearance. Many men and women from the greater Fayetteville, Arkansas area love the results that dermal fillers produce. In fact, many serve as walking advertisements for the practice, bringing in friends and family who want to achieve similar results. If you're interested in learning more about dermal fillers, schedule an appointment at Skin Ink & Laser by calling the office or using the easy online scheduling tool. Dermal fillers are carefully formulated substances injected subcutaneously to alter facial contours. To understand how dermal fillers work, it's helpful to consider the facial changes that occur due to aging. As you age, you lose a portion of subcutaneous fat in all areas of your face. That leaves your facial muscles closer to the surface of your skin, making crow’s feet and smile lines more prominent. Your facial skin also begins to stretch, increasing the appearance of wrinkles and facial folds. For some, a combination of genetics, lifestyle factors, and sun exposure accelerates this process. Dermal fillers work by replacing some of the lost volume that occurs as part of the aging process. When properly placed by highly skilled professionals, dermal fillers can create astounding results. We use different types of fillers, including Juvederm Ultra XC, Juvederm Ultra Plus XC, Voluma XC, Volbella, Vollure, and Kybella. Juvederm is a dermal filler used to improve the appearance of moderate to severe wrinkles and skin folds in your nasolabial folds, the area surrounding your nose and mouth. The gel formulation is injected beneath the surface of your skin. Juvederm is formulated from hyaluronic acid, a naturally occurring substance found in the human body. Because your body is already accustomed to hyaluronic acid, the risk of allergic reaction or other side effects is incredibly low. What’s it like to get Juvederm? The process begins with a consultation with your practitioner. After examining your skin and discussing your aesthetic goals, it's time for the injections. The injection process takes very little time. Juvederm is formulated with lidocaine, which minimizes discomfort. Most people report little more than a brief pinching sensation during injections. A topical skin anesthetic can help reduce these sensations. The professionals at Skin Ink & Laser have a great deal of experience administering Juvederm. Your injections are placed in the optimal position to improve your facial contours. The results of Juvederm are apparent immediately after the injections. You may experience some mild swelling in the treatment area, although this should subside within a few days. Your results should last between 4-6 months. Over time, your body will naturally absorb the hyaluronic acid gel, and the effects will begin to fade. After your first couple of treatments, you and your aesthetics specialist will be able to gauge how frequently you’ll need additional treatments. 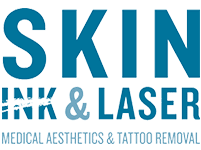 To get started, schedule an appointment at Skin Ink & Laser today.